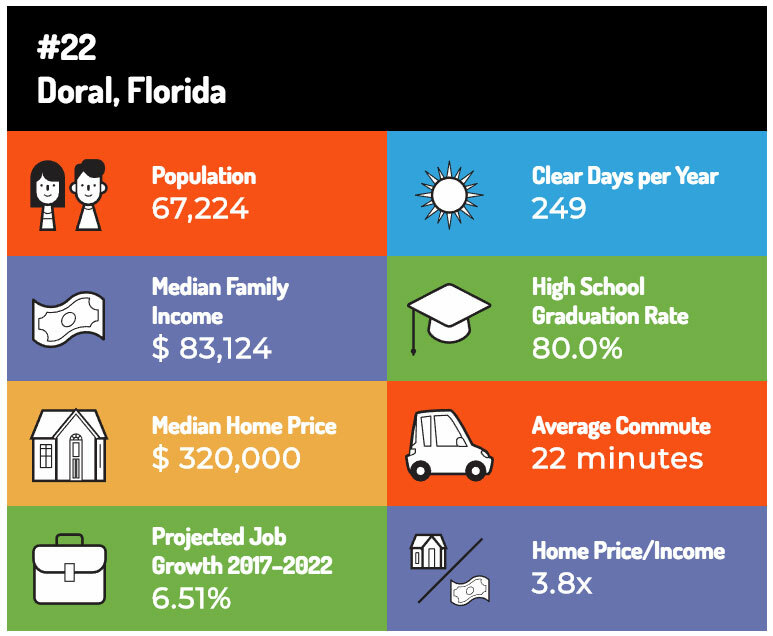 Money Magazine Names Doral a Top Place to Live! Doral’s economic growth and quality of life has landed it in the No. 20 spot on Money Magazine’s list of 50 best places to live in America! We are thrilled to continue providing a standard of living to our residents and businesses that makes us the premier place to live, work, learn and play. Doral’s economic growth and quality of life has landed it in the No. 22 spot on Money Magazine’s list of 50 best places to live in America! We are thrilled to continue providing a standard of living to our residents and businesses that makes us the premier place to live, work, learn and play.